Through our programs that make up PSRxStrategies, our comprehensive suite of various products and services, PharmaStrategies, LLC assists all pharmacy benefits management needs. These product and services can be provided as a complete package or as a’ la carte options. We can tailor our programs to fit your needs! The Affordable Care Act, ACA, allowed many individuals who were un-insured or under-insured access to health insurance and prescription drug coverage that they may not have been able to obtain. The ACA changed the landscape of prescription drug coverage for many; but, there are still 33 million people without health insurance in the United States (2014). With the average price per prescription being around $84.00 and the average American paying over $1300 per year on medications, even those with prescription medication benefits struggle to afford their co-pays or have medications that are not on their formulary. PharmaStrategies offers several ways to save your members and customers money! The RxCard program at PharmaStrategies helps individuals and employers bridge the gap in prescription coverage. 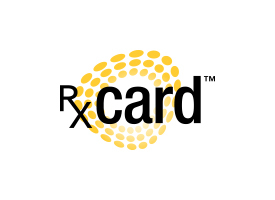 The RxCard allows our clients to private label and distribute a prescription discount card free to their customers, members, or groups which generates a revenue stream. The average savings that the RxCard offers is higher than industry norm for other programs of this nature and our program gives you all the tools you need to get started. PharmaStrategies also provides RxCard members and pharmacists support through our website and call center. We provide excellence in service to your members so you can focus on your business! We provide you with a private labeled card and website at no cost. We provide clear, in-depth monthly reports to track and gauge your performance. Even if you already using another prescription discount card, we can evaluate your current contract to ensure you are getting the most from your program. We love our pets, we’re sure you do too! Most pet insurance programs do not include prescription medication coverage and many people pay cash for their furry friends medical needs. Yet, these medications can leave you and your members with sticker shock. In addition to providing our clients with a pharmacy card, we also offer a medication discount card for pets. This pet card offers savings in more ways than any other currently on the market: retail pet medications, mail-order medications, and specialty/compounded medications. If you are interested in learning more about any of these programs, contact us for more information. As a client, you benefit from regular PBM audits which regularly evaluate your PBM’s performance, PBM contract compliance, savings and more. Audits allow us and you to make decisions in selection and changes to your PBM. PharmaStrategies, LLC also provides independent, line-by-line, audits and contract review for your organizations, businesses, payers and unions to provide deep insight into your existing plan to ensure your current plan is delivering the best overall value and competitiveness in the market. We know what to look for in your data and we leverage it to ensure your program is successful! Because of our number of members, PharmaStrategies, LLC is able to provide you with in-depth and timely reporting. We help you understand your claims reports, provide clear insights into your data and leverage your data to add value to your members. PharmaStrategies provides our clients with regular, in-depth plan reports and industry expertise into your data. Through our overall claim volume, we can provide insight into the various PBMs performance and overall market trends. 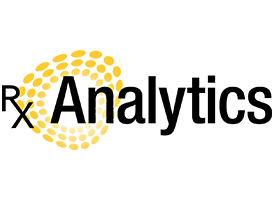 Beyond our standard reporting and analysis provided to our clientele, we also provide access to market trend reporting. These reports are designed for those interested in understanding the past and current trends in the pharmacy markets including funded and cash paying. This service can be delivered as a regular subscription or as a one-time service. We can tailor access to this type of report to suit your needs. From PBM procurement to ongoing management, PharmaStrategies will manage all the details. We can also conduct an independent, line-by-line analysis of your current PBM contract and provide you with a comparison to how it stacks up against the market. PharmaStrategies contracts and works with many PBMs ensuring that you get the right fit and value for your pharmacy benefits program. When you are not fully informed, you can bet it is costing you something… Partnering with PharmaStrategies, LLC gives you access to our combined knowledge to navigate the pharmacy benefits industry. As your back-office experts, the PharmaStrategies team will help you harness the power of your data. Our team makes it our mission to provide you with all the information that you need to maximize your benefits program. Our clients hire us because they recognize that we are specialists in the world of pharmacy benefits. Pharmacy benefits and the healthcare industry can be extremely complicated. Besides our products and services listed on our website, we also offer our industry expertise in many other forms. If you don’t see what you are looking for on our website, please contact us to discuss your specific needs. PharmaStrategies, LLC can not only help with vendor selection, but also with RFP development, fulfillment and evaluation.